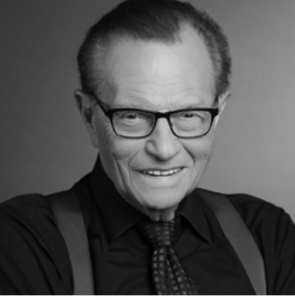 LARRY KING’S BANKRUPTCY | Jeffrey B. Irby, P.C. Here’s an interesting experiment: Consider the best thing that has ever happened to you. Perhaps it is meeting your significant other, or having your children, or landing your dream job. Now consider this question: Would my life have been blessed with this “one thing” without some crisis that happened in the past? Probably not. You might not have met your significant other if your parents hadn’t gotten divorced and moved to another city. You might not have landed your dream career if you hadn’t been rejected by your first-choice university. Perhaps your children would not have been born if your college sweetheart hadn’t broken up with you. And perhaps Larry King would not have become a household name if he had not been through bankruptcy. It’s true: Right before King’s career took off, he racked up debt to the tune of $350,000, and in 1978, he declared bankruptcy. But guess what also happened n 1978? King was offered his own late-night talk radio show. This marked the pivot point in his life: A few years later, he landed Larry King Live, which ran for 25 years. Is it a coincidence that Larry King’s life changed for the better the same year that he declared bankruptcy? Declaring bankruptcy is not for everyone, but if you are a candidate for bankruptcy, declaring bankruptcy might be the best thing you can do for your life. If you are struggling with your nances, you will feel dread and anxiety—and it will worsen each time a bill lands in your mailbox. Those feelings of dread and anxiety can color every interaction you have. Instead of being able to enjoy your family, focus on your career, or spend time engaging in hobbies, you may nd yourself worrying about money. So bankruptcy can be a lifeline. It gives you a chance to erase that feeling in the pit of your stomach that won’t go away, and start focusing on other things.